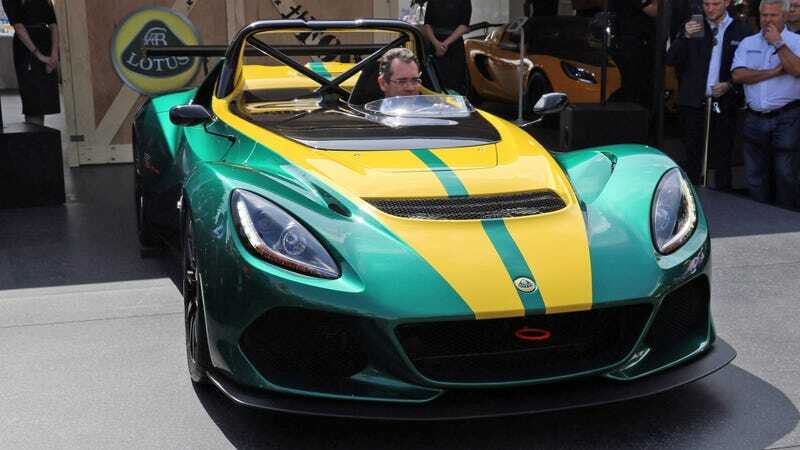 The latest in the series of “brand new” Lotuses is the limited edition 3-Eleven, which is basically a beefed up Exige S with the roof chopped off. Still, it’s a job well done since this is the fastest Lotus ever. The road car has two seats and will do 180 mph while the race version has a 10mph slower top speed and a single FIA-approved seat. Thanks to the lighter composites and the paddle shift sequential, it will also reach 62mph in under 3 seconds. Production is limited to 311 units, which is alright because not many will spend $180,000 on a Lotus track special anyway. To get 450 horsepower out of that supercharged engine, you’ll have to keep the revs around 7,000rpm with the maximum torque being at your service between 3,500-6,500rpm. The six-speed manual is a close-ratio gearbox in the road car, while the race 3-Eleven gets a sequential with a semi-dry sump and an extra oil cooler. A Torsen-style limited slip differential and the 18-inch wheels are standard on both cars, as well as the TFT instrument cluster and what they call the aeroscreen. You’ll still need a helmet, but since the race car also comes with a fire extinguisher and a battery kill switch, you can literally drive it to a race and back. Nice, but it’s no new Elise. Or new Esprit. Or new car, really.